Russia and China have blocked a US request to add a Russian bank to a UN sanctions blacklist along with a North Korean official and two entities, diplomats said. The United States last week asked a UN sanctions committee to slap an assets freeze on Agrosoyuz Commercial Bank for allegedly helping North Korea evade UN-imposed restrictions on financial transactions. The request also targeted Ri Jong Won, the deputy representative of North Korea's Foreign Trade Bank and two North Korean front companies. In a response to the council, Russia yesterday raised doubts about the allegations, while China told the council that it objected to the proposed sanctions designations put forward by the United States. "We would like to underline that designation requests submitted to the committee should be adequately substantiated by sufficient information," said the Russian mission to the United Nations in a message to the council seen by AFP. The request followed a US Treasury Department decision to impose unilateral sanctions on the Russian bank, the North Korean official and the two entities. The two companies were named as the Dandong Zhongsheng Industry and Trade Company and the Korea Ungum Corporation. Russia and China have called on the Security Council to consider easing sanctions to reward North Korea for opening up dialogue with the US and halting missile tests. But the US has called for maintaining "maximum pressure" from sanctions until North Korea has fully dismantled its nuclear and ballistic missile programs. Earlier yesterday, the North Korean foreign ministry issued an angry statement, denouncing the United States for responding to its overtures by "inciting international sanctions and pressure." The council last year adopted three rafts of sanctions targeting North Korea's economy through export and import bans, as well as restrictions on banking. It was the second time in three weeks that Russia and China have objected to a US request to tighten sanctions on North Korea. On July 19, the two countries put a six-month hold on a US request to halt all deliveries of refined oil products to North Korea. 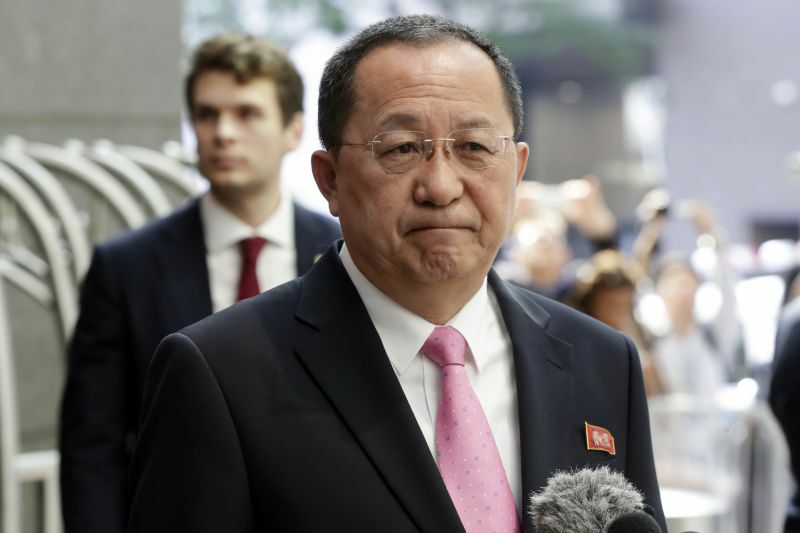 The US had made the request to the sanctions committee after finding that North Korea had exceeded the cap on fuel imports though illegal ship-to-ship transfers at sea. UN sanctions resolutions place a ceiling for North Korea of 500,000 barrels of refined oil products per year and four million barrels of crude. A cut-off of oil and fuel would have to be enforced primarily by China, which supplies most of North Korea's energy needs, but also by Russia, which delivers some oil to Pyongyang.